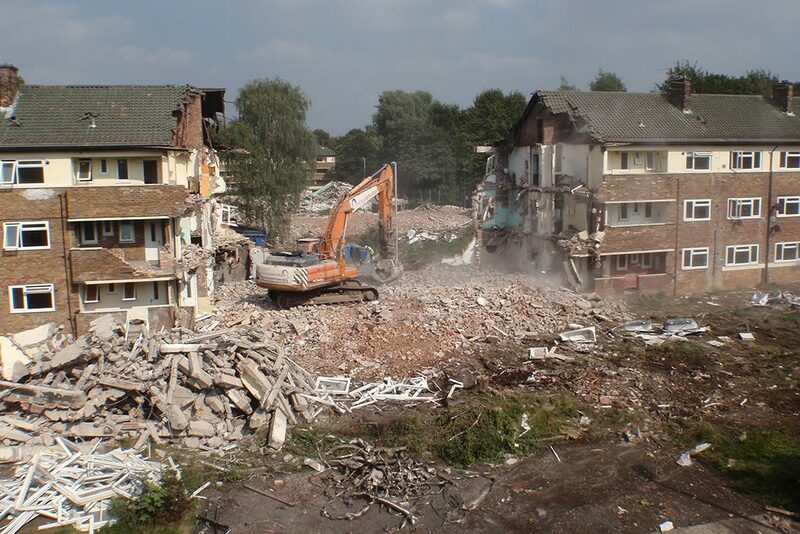 Scope: The soft-strip and demolition of five x three storey blocks of adjacent residential flats. 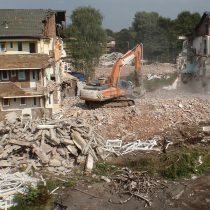 The project involved the demolition of 5 adjacent three storey blocks of residential flats, containing 120 dwellings in total. 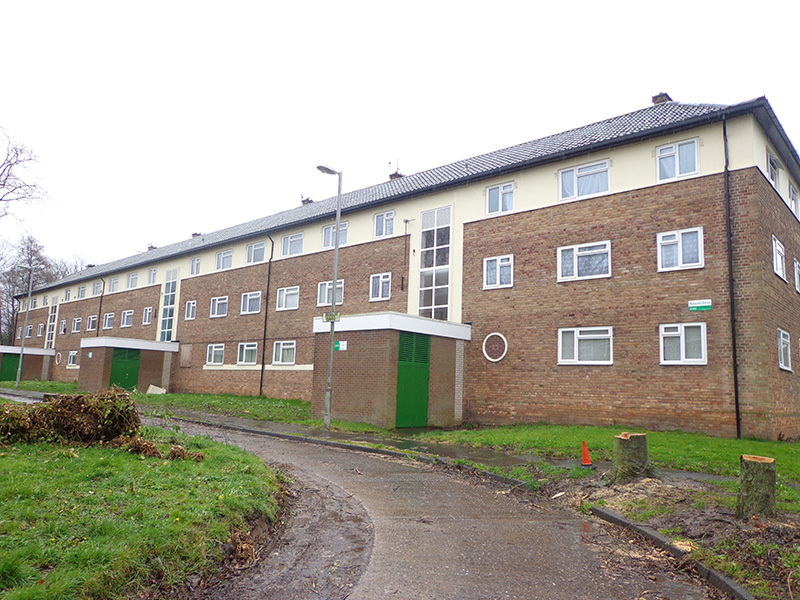 A requirement of the demolition was that there should be no damage to the existing roads and pavements within site as these were to be maintained as a pedestrian right of way upon completion of the demolition work. 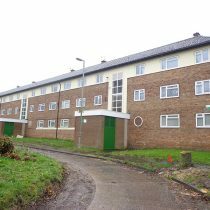 The site was adjacent to the M56 motorway and very close to Manchester Airport and also located within a highly residential area. A team of soft-strippers set to work on the first block, preparing it for demolition. 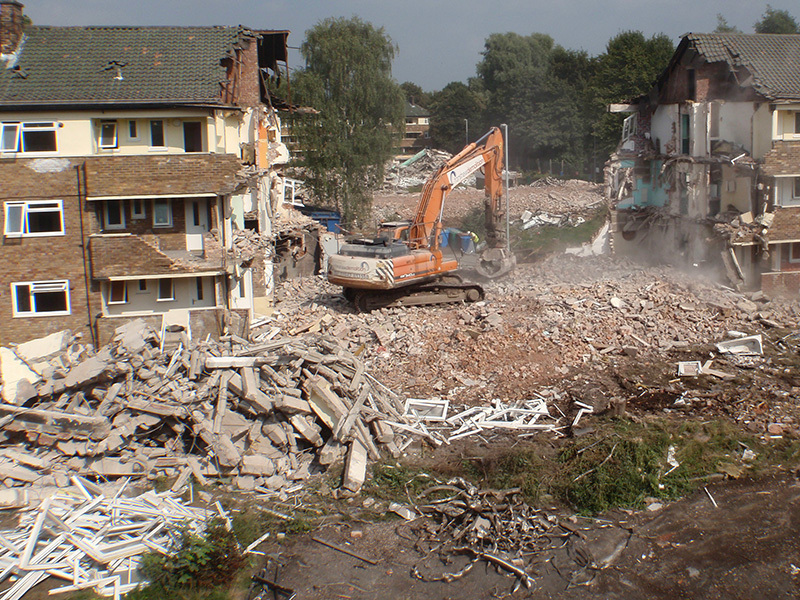 Once compete, they moved on to the next block and were followed by a team of demolition excavators. The buildings were systematically demolished and the demolition arisings separated in to suitable piles for recycling.